Yesterday was Bay Area bike to work day, and I participated for the first time! I biked to BART, BARTed to Millbrae, and biked the rest of the way, clocking in about 11 miles for the day. And I grabbed my swag. The bike to work tote is very cute, and was packed with useful stuff: bike light, tube patch kit, snacks and loads of coupons. I was out of hands, so I didn’t get to enjoy a cup of Bicycle Coffee. They were still having a good day, with a feature in the SF Business Times. They deliver delicious coffee via active transportation: bike, transit or walking. Then it was off to BART. As usual, the train was crowded in Oakland, through downtown SF. And I learned an important lesson, no bikes in the first car. Ooops. It was an uneventful ride to Millbrae, BART cleared out after Powell. I never noticed how loud the ride is after Civc Center, and past Glen Park. Ouch, it killed my ears with the screeching. Lesson #2: Millbrae BART is a pain if you want to use the elevator. Or get out to the street. Up and down, up and down. Eventually I made my way to California Ave, and started on the ride to work. While traveling at bike speed through Burlingame I discovered the Burlingame Museum of Pez Memorabilia. Not exactly what I was expecting to see on my ride. The ride to San Mateo was uneventful and mostly flat. And then on the way home, it was drizzling a little (it looks like the meteorologists were a little off about rain for the North Bay only). By the time I got back to Oakland, it was more drizzly. And I still had a few more things to do. I decided to use the Bikelink locker, and head over to GrandLake without my bike. We went over to Alchemy, for a tasting from a new Charleston company: Bittermilk. They’ve recently launched new mixers. Good stuff! 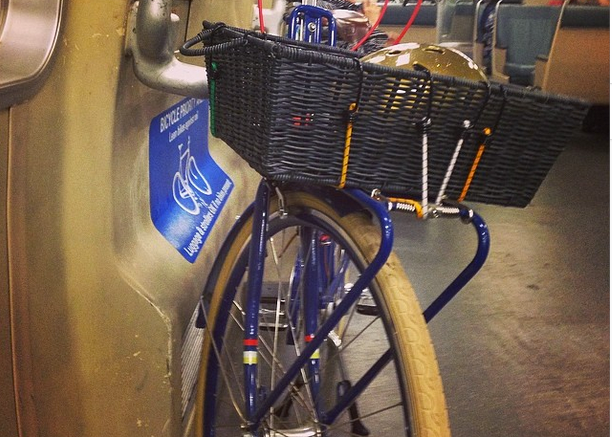 Check out my bike on it’s maiden BART voyage. All in all, it capped a successful Bike to Work Day. 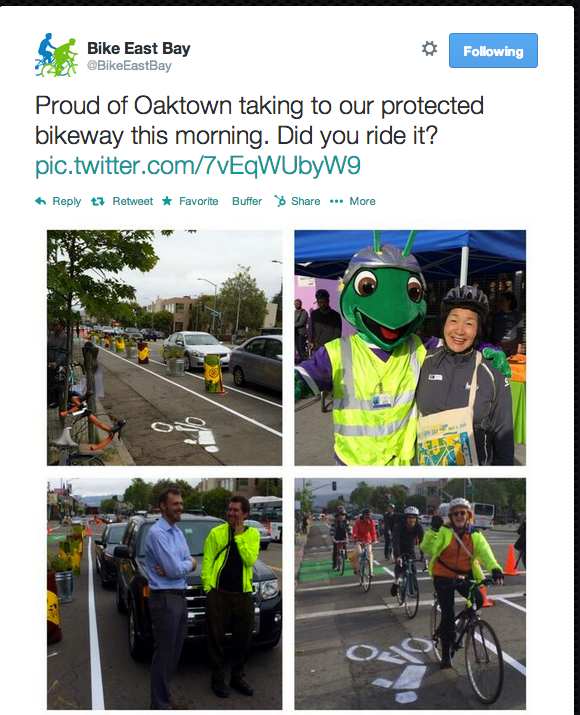 Did you particpate in #btwd2014? Thought I’d share the things that piqued my interest this week! Enjoy.